Continuing our efforts to tell everyone about rum, here is a very strange spirit that I really like: Clairin Sajous. Clairin is a style native to Haiti, similar in production and character to agricole rum. That makes sense, as it’s the style most associated with France, and Haiti was a French colony before gaining independence in 1804. It’s a rough-and-ready spirit rarely seen off the island, but thankfully we’ve now got the chance to try it without flying to Haiti. The reason we can now try clairin in Europe is Luca Gargano of Velier, rum expert and importer. While he’s come on to my radar recently for his work with Haitian spirit, he’s probably better known for bringing rare Caroni rum from Trinidad into Europe. 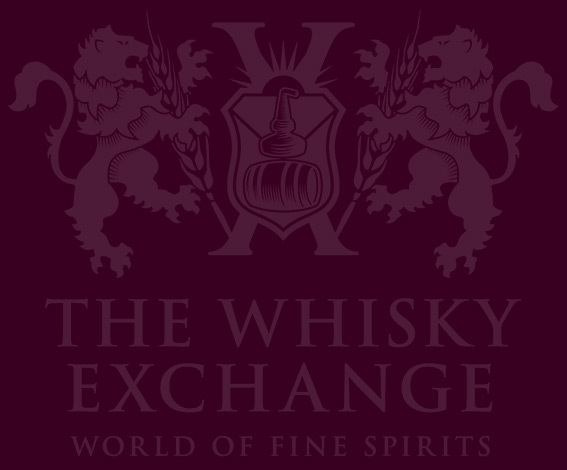 The distillery closed in 2003, but Luca has sought casks of spirit produced there, ensuring that more people get a chance to try their excellent rum. His approach to clairin has a similar purpose – letting more people taste a spirit that would otherwise be very hard to get. 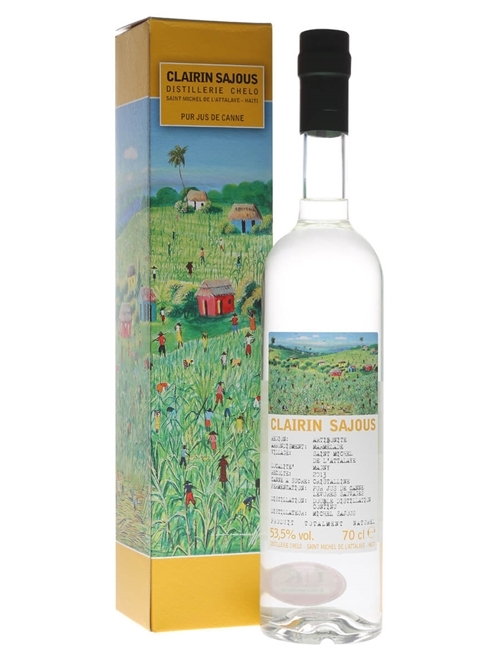 Luca has sourced clairin from a few distilleries (you can find all of them that we have in stock here), but the one I’ve become most fond of is Clairin Sajous from Chelo distillery near St-Michel-de-l’Attalaye, 60 miles north of Haiti’s capital Port-au-Prince. The Sajous in the name comes from the owner, Michel Sajous, who built the distillery on his family’s sugar-cane plantation. 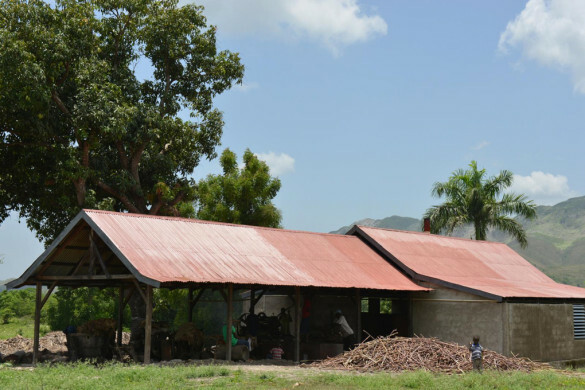 They are a traditional producer, using the plantation’s own sugar cane and relatively low-tech methods of rum production – this is not an automated, industrial distillery, but a small farm of 30 hectares with an ageing sugar cane press and years of expertise of making clairin. As with a traditional agricole rum, they use sugar-cane juice at Chelo rather than molasses1. However, they use concentrated juice, reduced over fires of burning bagasses, the ground up remains of the pressed canes. The concentrated juice can be kept for about 18 months, unlike freshly pressed, allowing the distillery to make clairin throughout the year. They ferment the juice using wild yeast – in essence, they leave it uncovered and hope that some yeast turns up. 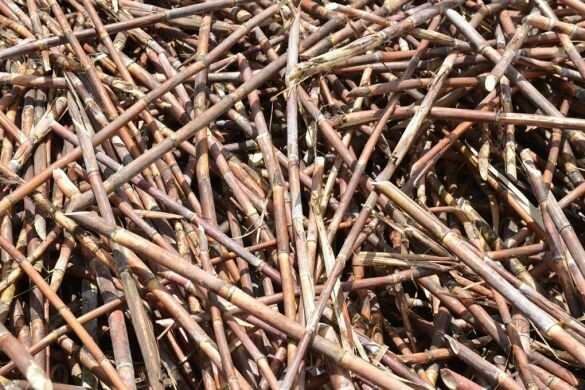 Fortunately, yeast is quite common, living on the surface of the canes as well as all around the distillery, and the syrupy juice turns into an alcoholic sugar-cane wine over seven to 10 days. 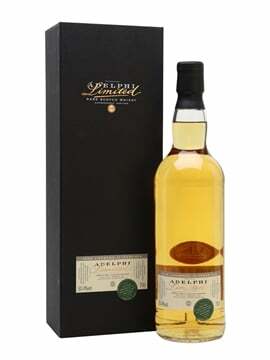 This is then distilled twice and bottled without dilution – the second batch is 53.5%, quite low for something straight from the still, but more flavoursome for it. Nose: Big – it jumps out at you as your face approaches the glass. 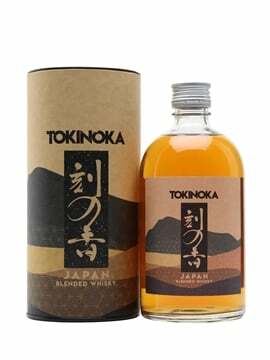 Pungent herbs, damp leaves, mulchy fruit skins, a hint of petrol, Play-Doh, pickled gherkins and sweet raw sugar-cane juice. 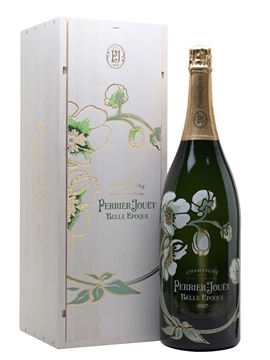 Palate: Softer than the nose suggests, but still full on. Spicy cinnamon and tarragon, overripe bananas and squishy apples to start. Darker notes develop, with hints of liquorice and dark chocolate joined by even more green herbs. Finish: Medium-long and very clean, with sweet green apples and green herbs fading quickly to anise and a touch of cinnamon spice. Comment: A complex and fruity spirit, run through with herbs and spice. It’s not one for the faint-hearted but I find it much more approachable than traditional agricole rum. I happily drink this neat, but I reckon it’d also make a great Ti’ Punch (just add lime and sugar syrup). Usually, clairin doesn’t leave Haiti, and Michel Sajous’ spirit is normally sold in St-Michel-de-l’Attalaye and Port-au-Prince, but Luca’s journeys around the country in search of rum mean that it’s now getting to a wider audience. It is a strange beast – thick, sweet and vegetal, with much more flavour than you’d expect from an unaged spirit – but it amplifies the core flavours that I most love in rum. It tastes of Haiti, with local cane and wild yeast infusing the unique flavours of Michel Sajous’ plantation into the spirit. I look forward to trying the next batch. 1 To make molasses, you boil sugar-cane juice and skim off sugar crystals during the process. Once you have removed a lot of the sugar, you end up with a thick and sweet liquid, molasses, which can be fermented and distilled into rum. This is the style of rum that’s most common around the world. Agricole rums are made from the sugar-cane juice, which contains many more flavour compounds. 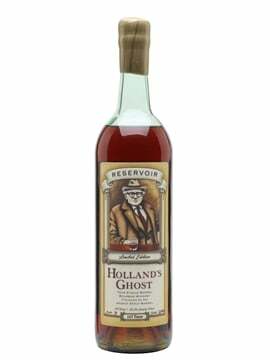 Rums of this style are usually quite pungent compared to molasses rums, which puts some people off. However, they can be very complex, which attracts others – there’s something for everyone in the rum world. Oops! Typo. Now fixed – thanks!